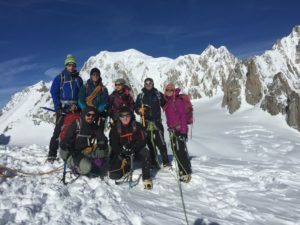 With so many asking us about our superb Mont Blanc itineraries we thought the below would be helpful to get you on your way. 1. It is a climb, not a walk. Many people underestimate it and many who’ve never been there say it’s just a walk. You will climb to the Refuge Gouter using both hands on steep scrambling terrain – it is not a walk. 2. Don’t judge the mountain by its altitude. 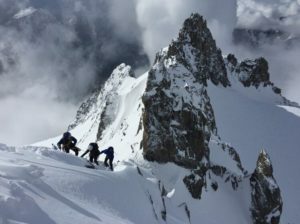 Many people come to Mont Blanc after Kilimanjaro thinking that will be easier because it’s lower. Most get a big shock. On Mont Blanc you travel quickly and carry your own kit. 3. For many people it is the toughest physical challenge they will ever do. Make your trip worthwhile by doing lots of physical training beforehand. There’s not much you can do about the weather, but you are in control of your own fitness – so get training! Long walks with a rucksack and running are the best choices. 4. 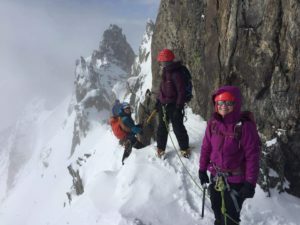 Conditions on the mountain are critical. 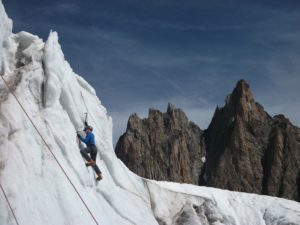 If it is too hot then stonefall in the Grand Couloir can be a problem. Hence avoid mid July to mid August when temperatures are usually at their hottest. 5. Go light. You have to carry your kit throughout the trip, so buying lightweight gear and not carrying unnecessary things will make a big difference. A small rucksack (30-40L) is all you need. A silk sleeping liner is half the weight of a cotton one, and toothpaste and sun cream can be shared by several people. 6. Choose the right provider and guide. Going for the cheap option is nearly always not the best option. 360 offers you a competitive price with leading guides in the industry. Summit rate is high and testimonials are strong. BOOK now and we will see you there.